A lot of users all over the world prefer Windows Phone nowadays: iOS and Android have a tough competition with this devices. But still even after long effort of Microsoft, a lot of users are still having problems. One of the most common errors in Windows Phone is Error Code 800704cf. A lot of people contacted us over the email and personally, they were looking for solution on how to fix this error. We decided to share the solution on how to solve this problem in a very easy way and without much effort. You are unable to sync Windows Phone with Outlook account. Microsoft Store App won’t even try to connect and throw this error. Internet works in Internet Explorer on your Windows Phone only. In this article we are sharing few methods on how to fix Error Code 800704cf as there is no specific solution. Follow these methods until the error gets solved. Here are 4 methods to fix or solve error code 800704cf in Windows phones. Check them one by one and and check which will help you to get problem solved. Tap on “email + accounts”. Tap and hold on “Microsoft account“. After synchronizing issue must gone. Also, check if “date and time” settings are correct and change them manually. If the problem still persists, follow the next method. READ ALSO: How to Fix Error DISK BOOT FAILURE? Go to “Settings” -> “date+time”. Re-enter the correct date and time. Now re-try to connect and observe if the problem is still there. Shut down all the applications and any other processes. Press and hold “Volume Down Button + Power Button” for 10-15 seconds. Phone will automatically switch off and restart which will perform a soft reset. Do not slide down to Power Off. In most cases this fix will definitely help with Error Code 800704cf. In case it didn’t — move forward and try the next method below. Now tap on “Apps + settings“. To back up your Settings, tap on “Settings Backup”. To back up your Apps, tap on “App Backup”. Tap on “Reset your Phone”. Now you will notice 2 warnings on your screen. Just tap “Yes” and move forward. You have successfully reset your Phone. Note. Make Sure you are connected to Wi-Fi while restoring. Enter passwords for your restored accounts, then tap on “Next”. And now you have successfully reset your phone without losing any data. That’s all! 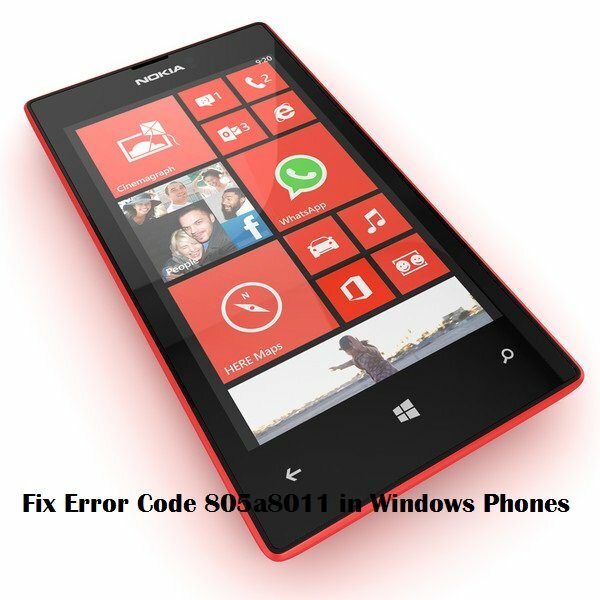 We hope the above methods helped you to fix Error Code 800704cf in Windows Phones. Thanks Aman, for your clear and various options. Am unable to download any application and to update any application too. Hi, I forgot my Microsoft account password and I also can’t download WhatsApp or any other apps again. Pls help me. Please already I have downloaded the truecall app.but in appstore not showing.how can I reinstall the truecall app. Had conflicts with outlook account and updating whatsapp. Tried all steps beside hard reset. The conflict was with the wifi, altough i could use the internet. Just turned wifi off. Than turned on regular internet. I made a connection to the update and it worked. I put my setting to only download in wifi, so I got the message it would be downloaded when there is wifi next time. I switched back to wifi and the download was made.